HelpHound Blog: Just how much is a single review worth? Just how much is a single review worth? So far, so very good. But - and this is a VERY BIG BUT - you need to invest some time and effort as well. Not a thousand pounds worth, you'll be glad to hear, but a minute or two on the phone. That is all, but any short cuts and response rates will drop dramatically, both to your own website and to Google. The key is to get inside the mind of your client: understand what will motivate them to write the review (you - and only you - know exactly what you did so well for them, and they may need a gentle reminder!) and they'll do it. Try and do it all by email and, unfortunately, yours will join that endless pile of 'emails I must get round to answering (but never do)' in your clients' in-boxes. If you are in a high value/low volume business (e.g. financial services, estate agency, legal) you may also consider rewarding staff for getting reviews. It focuses the mind wonderfully and it means your objectives are achieved in a timescale set by you (to repeat the title of this article: 'Just how much is a single review worth?'). Remember that Karen Hutchings and her team are here to help and guide. Just a call or an email away you will find years of experience and professional knowledge. 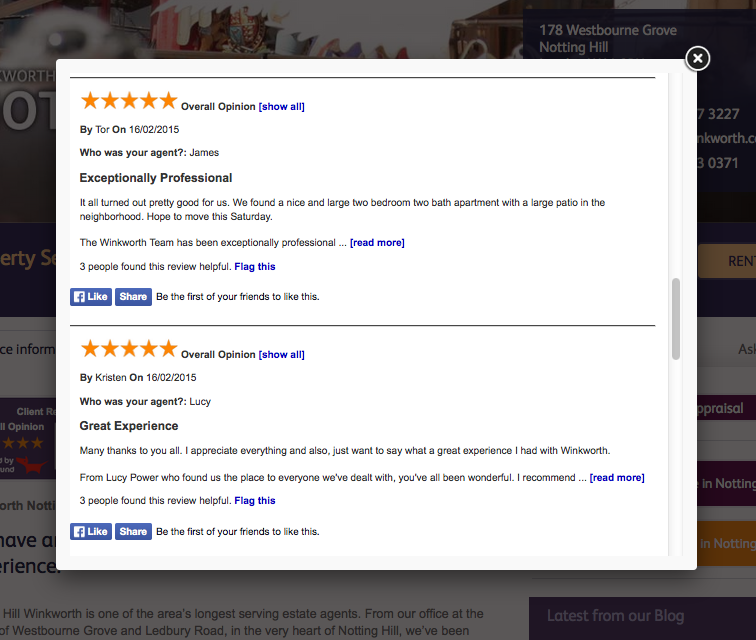 *Please don't underestimate the value of this review (the one posted to your own website); with hundreds of visitors to the average estate agents' website every month, those reviews produce results like these. And never succumb to the temptation to short-cut the process by asking them to post straight to Google; that way lies significant potential for disaster (more on that here). Review Management: How does you business score? One bad review. Harmful? You bet!